Yesterday I attended a "new faculty orientation" at Macalester. The two most significant differences between that small "highly selective liberal arts college" and the second-rate public state school that I call home is a) the students and their personal characteristics on average, and b) the type of service that each institution offers those students. Both differences have immediate implications for the faculty members. 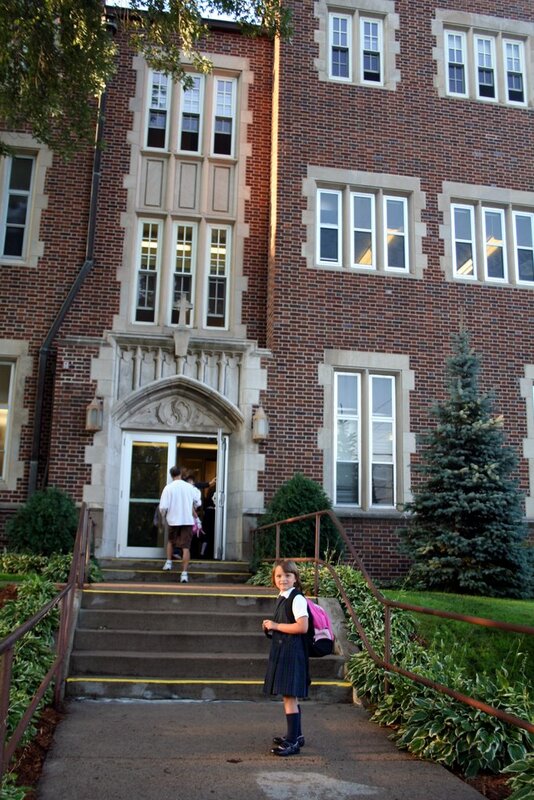 The dean of students talked extensively about the character of the students at Macalester. 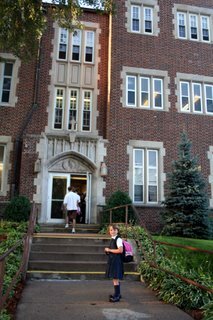 It is not surprising that the average student admitted to Macalester has a SAT score of 1400 and a 31 ACT composite, 65 percent of entering students graduated in the top 10 percent of their high school class and 10 percent of entering students are National Merit Scholars. They're smart. No doubt about it. But this dean emphasized other characteristics. The following comes directly from the copious notes I took during this portion of the program. They are sheltered. They are taught that they are special. They may have experienced a graduation program from their preschool. They have received what she called "empty applause" meaning that they have been rewarded for things that are not necessarily deserved. They are extremely confident, but this confidence is fragile. One result of this is that they have a sense of entitlement and when they arrive on campus, it is as if they say: "Look at me!" "Here I am!" "Take care of me now. . ."
In terms of advising, they want a prescriptive solution: tell me what I should major in. Students expect to be known on campus. This creates serious repercussions for faculty because the students expect them to know them personally. Often how hard they are willing to work in a particular class is a function of how personal the instructor is willing to get with the students. The parents are another ball of wax. Some want daily updates and experience a need to continue to shelter their students. It is very hard for these parents to stop being involved. One survey found that first year women talked with their parents SEVEN (yes, that's 7!) times per day. One faculty member last year received a daily email from a parent in India: "Please make sure that Suzy's eating. . . Did you know that she can't stand her roommate?" Another story from the dean is that she once received an angry phone call from a parent about a student's grade on a particular exam. While on the phone, the dean pulled up the student's record and realized that he/she was IN THE CLASS AT THAT MOMENT! Apparently the instructor had passed back the test and the student immediately sent her mom a disgruntled text-mail. On the other hand, the students sound smart and highly motivated. Their motto is "Work hard, play hard, sleep none." They are liberal and feel like issues of race and sexuality should be solved already. Ironically, they are highly aware of class and global issues associated with class. I say this ironically because as compared to my students (and I don't know the numbers on this) I expect that few of them either a) work during school or even during breaks or b) have to pay for their education themselves. The majority of my students do both AND have very little awareness of class issues (I once asked a class who among them received an ACT score higher than 32. A few raised their hands. I asked those if they considered applying to college elsewhere. Say Yale? They shook their heads. Then I asked if they thought President Bush got a 32 on his ACT score. They have no clue what I'm talking about). Furthermore, at least a third of my students are first-generation college attenders in their family (another rarity for at least the American Mac students). This all feels overwhelming to me as a faculty member at Mac. The full-time faculty teach fewer students per class and one fewer class per year than do I during a normal load, but they more than make up for it with the hand-holding required of them. The college prides itself in not letting any student "slip through the cracks." This means also that faculty members are expected to be "first responders." This means that they should keep track of attendance and possible personal issues that the students might face that may impede their performance including alcohol or drug abuse. Of course, if presented with this, I would take it seriously, but I do not consider this to be one of my main duties as a faculty member. They are adults. Why not treat them as such. Additionally, through all of this, I could not help but thing of the SYO and Big. Are we raising them to be too sheltered? To feel too special? Does the medal the SYO receives after her 4-5 year old soccer season ends give her mixed messages despite her two left feet? I once heard a story on This American Life about a comedienne whose father once told her that his praises must mean something more than her mother's simply BECAUSE they are conditional. At the time, I thought this hilarious, but now I'm wondering if they are words to live by. Good luck in first grade Sweet Pea (but don't expect a graduation ceremony until high school -wink!-). So, I was reading your blog today and of course had to look up Macalester against Bates :-) And, Mac now ranks higher than Bates than it did when I went there. I told you when I visited Mac I just got too much of a cruchy granola vibe and it seems I'm not alone. 'Walking from one end of campus to the other, it would not be uncommon to hear four or five different languages being spoken' at Macalester, where students representing more than 90 different countries attended in 2005/2006. Mac undergrads tend to be very liberal; their visits to the Mall of America are as likely precipitated by an anti-sweatshop protest as by their desire to shop. The 'PC' atmosphere can be a bit stifling at times, students admit; "you end up debating whether 'white lie' is a racist term for hours on end. The costs of being overtly respectful sometimes borders on overwhelming PC-ness,' explains one student. Mac students are typically quirky, nerdy, 'intelligent, friendly, and grounded thrift store junkies [who] are likely to study abroad somewhere, probably in a third-world country.'" It is also ranked 4th among schools that are accepting for the gays. So, while I think you're going to need to do more hand holding than at [your second rate public state school], I think it will be in a way you will enjoy because you'll get to have thoughtful discourse with the students over coffee and inspire them to be better people and save the world!